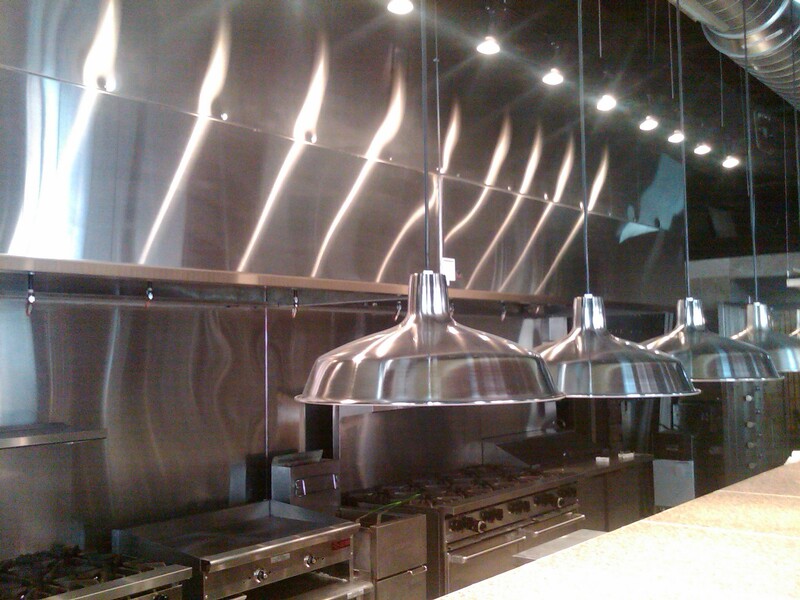 Kitchen Stainless Hoods is a unique engineering firm that specializes in the design and manufacturing of COMMERCIAL KITCHEN VENTILATION SYSTEMS. We don’t just build kitchen hoods, we build relationships. At KSH we pride ourselves in our customer service…if you are not happy, we are not happy. And those are not just words. Give us a call and after five minutes with one of our design-engineers it will be more than evident as to how much we care. And our services do not stop once you have received your kitchen hood system, we are available long after it is hanging and you’re cooking. KSH realizes that commercial kitchens are like fingerprints in that no two are exactly alike. There are variances in cooking equipment, HVAC balance, ceiling heights, wall composition or even roof pitches that make each kitchen unique. That is why you will not find a shopping cart anywhere on our website. We are the kitchen hood experts; designing and specifying your exhaust system is our job. KSH will take you, step by step, through a process that will not only provide us with the information we need to design a custom hood system, but will also help educate you as to how mechanical codes and your cooking environment affect the system. You can purchase the kitchen hood by itself or let us build you a package, including exhaust fans, make-up air units, stainless steel backwalls and much much more. Our kitchen hoods are 100% 16 gauge stainless steel, are ETL listed UL 710 compliant and all come with UL listed baffle filters, UL lights fixtures and UL grease cups. "Last year 2008, we had purchased & installed a new 22' long stainless Kitchen Exhaust Hood System with integral makeup air from Kitchen Stainless Hoods, Inc. for a new location. This particular hood we had specified with automatic controls to maximize the operating efficiency every 12 hour day of operation. Since the installation, the exhaust hood and its control system have performed exactly as expected and we would purchase this same auto-controlled Kitchen Exhaust System again."